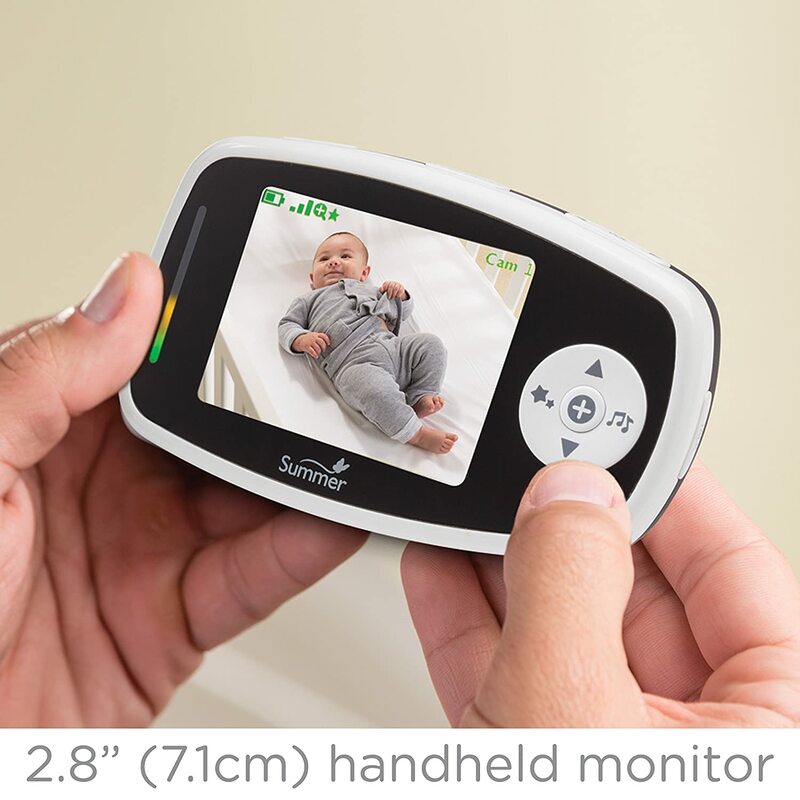 This Baby Glow Digital Video Monitor was created combining some top features from the Baby Touch and Slumber Buddy range. Thanks to its 3 colour moon and stars projection mixed with some soothing lullabies, it very easily creates a calming environment to help your baby drift off to sleep, whilst allowing you to still keep a close eye on your sleeping child. A bonus with this monitor is the expandable system it boasts which, if needed, allows you to monitor multiple rooms/children. Any extra cameras needed are sold separately, and there is a video and auto-scan function between rooms. Exceptionally clear picture, especially with night vision. Long battery life – enough for daytime naps, without a further charge needed. Strong signal from different parts of the house . 300m range. 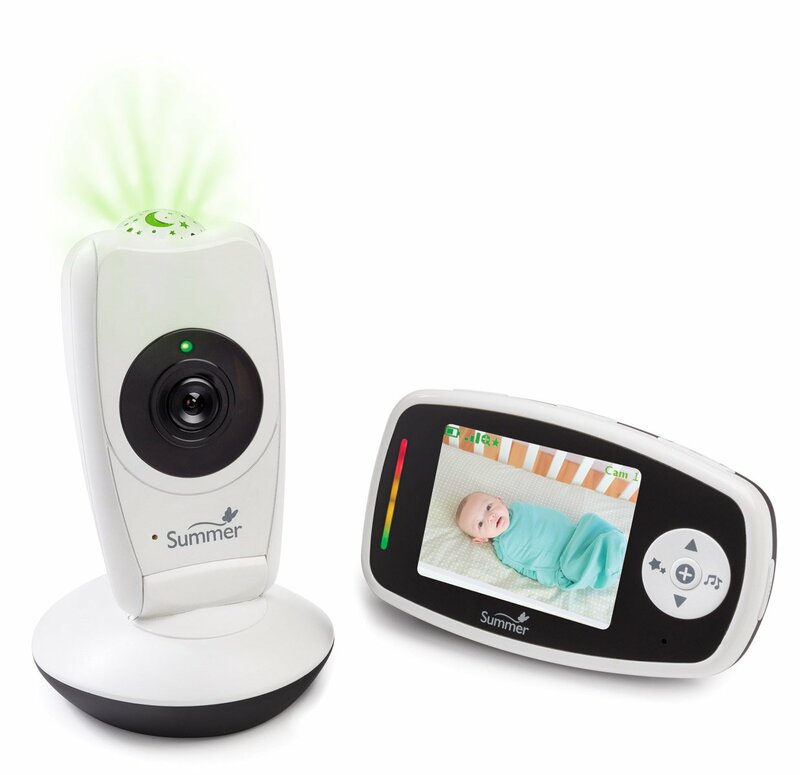 The Summer Infant Baby Glow Digital Video Monitor is a fantastic monitor to certainly consider with your shortlist. It is packed full of features that will give the confidence you are looking for as a parent. The lullabies do not have a timer on them, which is possibly the only slightly negative we can see with this monitor. Check this great baby monitor on Amazon or click the link below and enjoy!